Tendons can be repaired without surgery. In 2015 I was in a serious auto accident; it was a horribly rainy night, my husband and I had stopped because a large tree had fallen across the freeway. The car behind us never saw the situation and hit our stopped car at 60+ mph. We were pushed into and over the tree. I had 3 herniated discs in my spine with that accident, and my anterior tibial tendon tore. The only option I was given for tendon repair was surgery. I knew that I could heal the discs in my spine; I had just in the previous year repaired 3 fractured bones in my spine after falling off a ladder. But I had never had much success with tendons before. Soft tissue repairs are much more difficult than bone. Also, it’s amazingly difficult for a spiritual healer to work on ourselves; our power to heal comes from God. God is present whenever two or more gather together, so a healer working on themselves is at a severe disadvantage. I had to try, though, because the surgical repair of tendons is gruesome and to my mind, anachronistic. It’s a 4 hour surgery where the surgeons actually saw open the heel bone, and the cast is on for 6-9 months. I was not going to endure that but I had no other medical options. 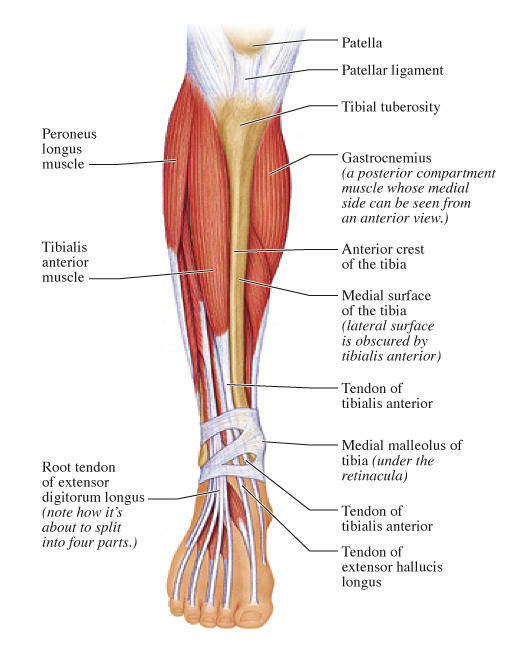 The anterior tibial tendon wraps around the exterior of the ankle. It keeps the arch of the foot and the heel bone stable. When the heel bone starts to “move”, sliding in and causing the foot to pronate outwards and the arch flattens, that tendon is in trouble. As so often happens when Spirit directs your life, my phone started ringing with people who had anterior tendon tears, always on the left side where my tear occurred. As I mapped their injury and brought divine spiritual energy down to repair their tendon my own tendon healed. It wasn’t overnight, it took about 20 tendon repairs on other people to heal my own injury.But it did heal, and completely. And so did their tendon injuries. Of course, Divine Spirit never misses an opportunity, so people with other soft tissue injuries asked for healing. It went a bit slowly at first, especially repairing torn knee ligaments and Achilles tendons because they are so large and the insertion point of the tendon was almost always damaged. Eventually I was able to heal most of those within three session, which is always my goal; to heal people quickly and completely and avoid surgical solutions. Now I perform these repairs routinely. I have my clients prepare themselves for at least 4 weeks before their session with collagen supplements (I like Neocell Super Collagen) so that I have some physical building blocks to work with. I also have them take a calcium supplement, Bone Maximizer III. Additionally, I request that they follow a vegetarian diet at least 3 days before their appointment (fish and organic eggs allowed) to clean their energy for the best outcome. That diet change made an enormous difference to how completely their body accepted the divine energies. We’re actually using Divine Energy as a substitute for physical matter, so the higher the individual’s vibration the easier and faster the repair goes. The essential piece of information I’d like you to take away from this article is that Divine can heal anything and everything. It has to work through tools (like me) on this earth, and these tools aren’t perfect. But we are, all of us, perfecting.